Since I ran in to a lot of dead ends when trying to get this done (with out a lockpick), I figured I'd make a detailed how to. I chose to use go with the back up camera spoiler. 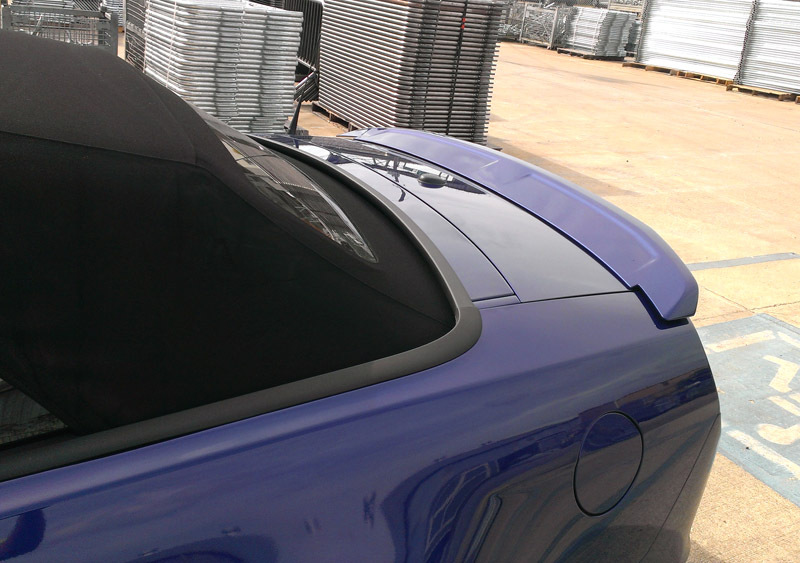 Two reasons: One, its completely stock looking And two, I liked the slightly bigger spoiler with the indents on top. 1. Source your back up camera. If you want the spoiler, I found a scratched one on ebay for $160. 2. Run a Cat5, Cat3, or "security cam" wire (shielded video with power pair next to it) from camera in rear (license plate or rear lid for spoiler) to passenger footwell. I've seen directions for people tapping the wires at the back of the nav. screen but I think its easier & better to tap it at the passenger footwell connector C210. You can also tap the close by fuse box for 12v+ power. video shied = bare wire with black tape on it, located at pin 33 on connector C210. It should be prewired from there to go to C2123 pin 2 on the back of the nav screen. video + = white/green wire, located at pin 21 on C210. From there it goes to C2123 pin 3.
video - = brown/purple, located at pin 22 on C210. From there it goes to C2123 pin 9. For my purposes, I used a Cat5 and used the blue pair for video (most twists), the orange pair for 12v+ & -, and any other wire for the "shield" wire and I've had zero issues with static, etc... The twisted pair is as effective as using a shielded wire IMO. I used the Raxiom Nav/radio install instructions (on American Muscle.com) to figure out how to disassemble the center console, then center dash piece. 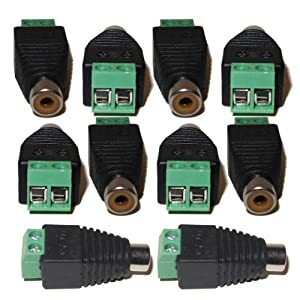 There are a lot of connecters on the back of it. ALL of them have some type of push pin to release the wire EXCEPT for the black antenna wire. And it is one of the shortest and hardest to remove wires, get a pair of long tipped plyers to grab metal connector and pull out! 5. Get back a week later, reinstall and it should work like a stock back up camera when the car is in reverse. No Lockpick or other aftermarket device. I decided to not use the LockPick device b/c I wanted my car more "stock". Now, there are few advantages to using a Lockpick, like you can add up to 4 cameras, view them at anytime, enter in an address while moving for up to 60 seconds, etc.. though it costs twice as much as the simple programming. If you want to install one of them, there are plenty of directions on how to on their website. Also, if you happen to have a really smart Ford technician at your local dealership he technically should be able to do this by programming the Nav unit with the correct "Build As" data. Other's have compared 2 identical cars, except the back up cameras, noted the difference in the build as files, and made the changes manually. This is far above most technicians' heads and it would likely cost $100+- , so i decided to stop pursuing this route & just get it programmed at 4dtech. Will that camera work with the raxiom NAV unit? The red 12v+ & black 12-/ground will be used on this plug. The white wires are the video, which will go to the RCA wire. 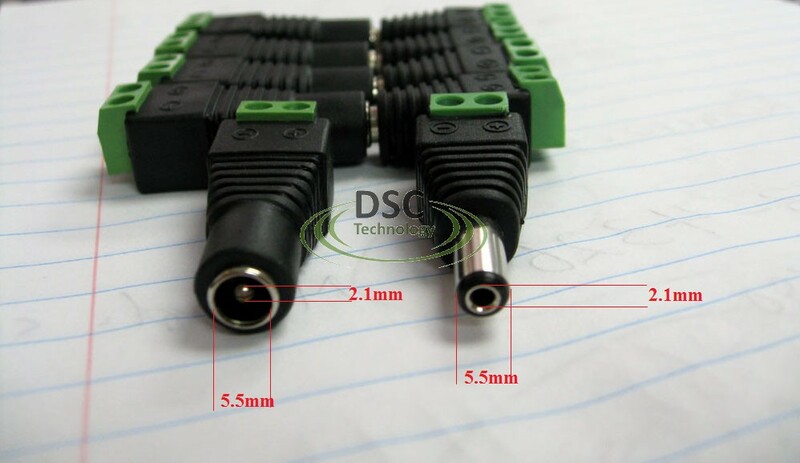 This would create a plug & play adapter from the OEM spoiler pigtail to any video/12v wire for aftermarket use. This is the build as data from the ACM (Audio Control Module / Nav brick) of a GT Premium with Sync/Nav & the back up camera. 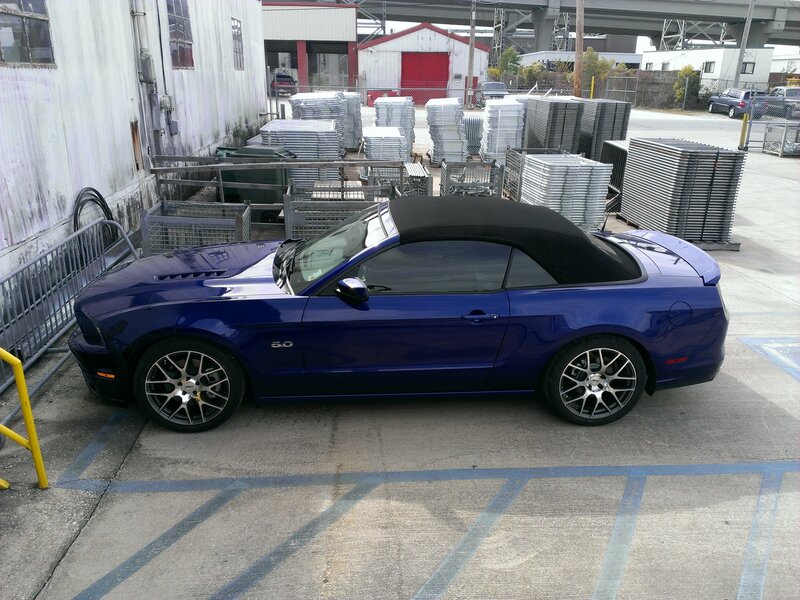 Its very similar looking to a 2012 GT500's build as data I looked at. If I had this information in hand earlier I may have been able to walk in to the dealership, asked to speak to a technician about programming the ACM with new build as data, and maybe gotten somewhere. Though I have a convertible, and someone TOLD me the build as data is different for them. Its just as easy to pay 4dtech the $140, as most dealers are going to want to charge you about $100 for this. But just in case anyone here has the IDS system at their disposal and wants to try this, etc. Anybody NEAR New Orleans have access to an IDS system that I could read / edit the ACM build-as data with ? The first 4 numbers appear to always be 2100, unless you have Shaker Pro Sub then its 2140 (I believe). The last 4 I believe have to do with heated seats & some other options. You can use the 1st link above to view your Build As data, print it out, then modify the middle 4 #'s on the line 727-01-01 to fit your car's options. If you have a VIN # for a car with all of the same parts as yours + the part(s) that you're adding you can view its as build data & program your car with it after adding that hardware. You can use the 2nd link to confirm the options on the car as from the factory as the As Build data would expect your car to be built. Add the As-Built data you want to flash to your car. Fixed links so you can copy & paste them. Obviously replace the XXXXXXXXXXX with the VIN's you're trying to analyze. I've successfully installed a backup camera in my 2014 mustang GT that has NAV. I installed a Boyo VTB123HD just above the license plate. I have a few additional details to share. I powered the camera from the same point that the OEM camera is powered from. The power is available from the same connector (described above in the first post) at the passenger kick panel, on pin 20 on connector C210. The fuse was already installed, that is F29 5A in the SJB, so there was no need to add a fuse. I used an ELS27 adapter and Forscan to modify the as-built of the ACM. An ELM327 with a switch to switch between HS and MS CAN can also be used, but be cautious of cheap clones. Rather straight forward to use Forscan, but you need the extended version, which requires you to request a license, at the moment that is free. I did a bit of sleuthing through as-builts for various cars with similar options as mine to figure out the exact bit to change to enable the camera. This should work for you, but obvious I can't guarantee it will and obviously there is the risk of bricking your ACM. I would recommend that when using Forscan, select only the ACM and not "all", this will restrict Forscan to looking only at the ACM. Here is what I found on my sleuthing. while most of the rest of the 727 stuff was pretty much the same as my car. What tripped me up initially was the difference between 2100 and 2500 and the second line 727-01-02. Now it is not as easily to find Canadian car VINs online, but I did find one, that was close enough, to formulate a guess that the -01-01 2500 and the -01-02 C0 difference is most likely something to do with a Canadian versus US car. That led me to the conclusion that the camera is enabled by changing the 80 to 90 in the first line. Tried and bingo it worked. If I am not mistaken, the difference between 8CA9 and 8DA9 is a "parking assist active" message showing up on the touch screen with 8DA9, but I did not do enough trial and error to confirm for sure. Again cannot guarantee. Of course all the above are missing the byte checksum at the end, that is needed to program with Forscan, it does not calculate it. PM me for how to calculate that. Nice informative post ! I am wondering if you could answer a question. First the background. 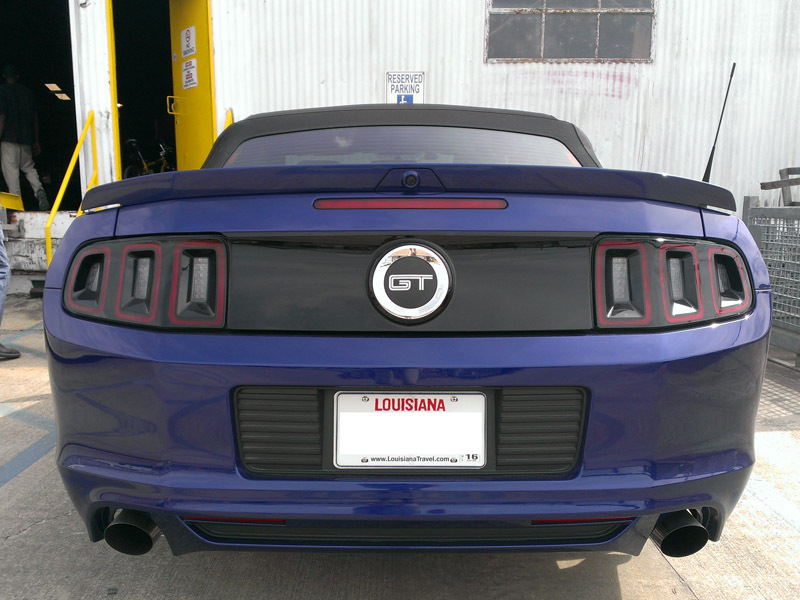 Like you I want to add a backup camera to my 2012 GT. I bought the spoiler with camera off of ebay. I took the trunk lid cover down and sure enough there was a camera plug available. I plugged the camera in and sure enough it didn't work. So I went to the 4dtech site as you suggested and found they now offer a flash program that plugs into the OBDII diagnostic port and in a matter of seconds the nav unit is programmed to accept the camera. Sounds great right? So I called 4dtech and spoke with their man who informed me that the flash program would work for my car however he stated that there was no guarantee that the camera wiring actually existed or was plugged into the nav unit. So here's the question: IS THERE ANY EASY WAY TO TELL IF THE CAMERA WIRING HARNESS IS 100% THERE AND PLUGGED INTO THE NAV UNIT ? (not shouting at you) I'd sure like to make this camera work before drilling holes in the trunk. Thanks for your response and any help you send my way !! Addition to previous. I checked the passenger side fuse box and there is a 5amp fuse in the #29 spot labeled CAMERA. 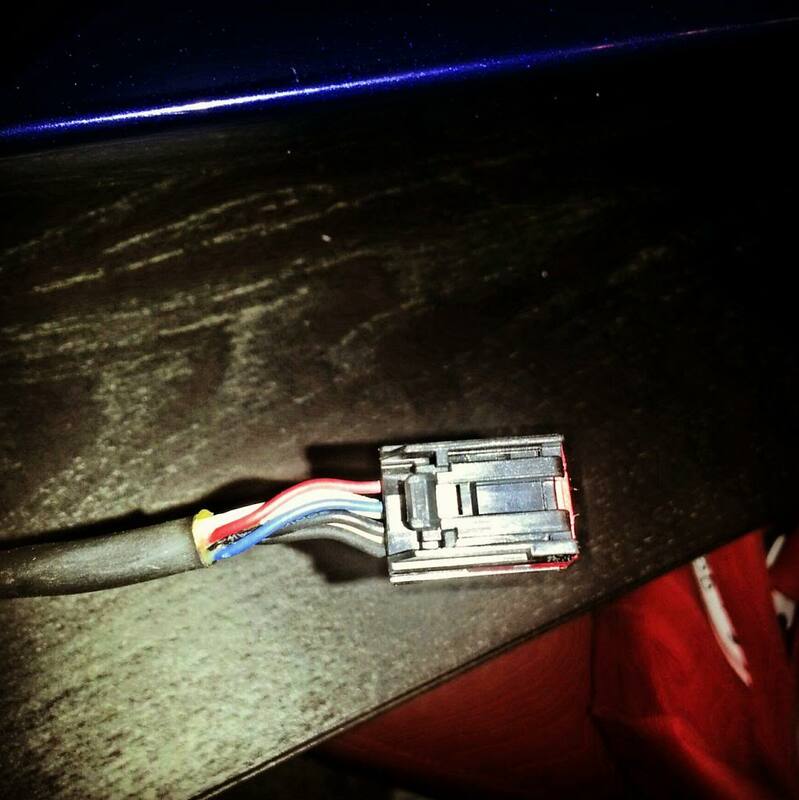 Would this be an indication that the camera wiring is complete? Firstly, thanks to OP c_rizzle for the wiring details & thanks to wystewart for the ACM module parameter change details. Bingo! It worked for me too! 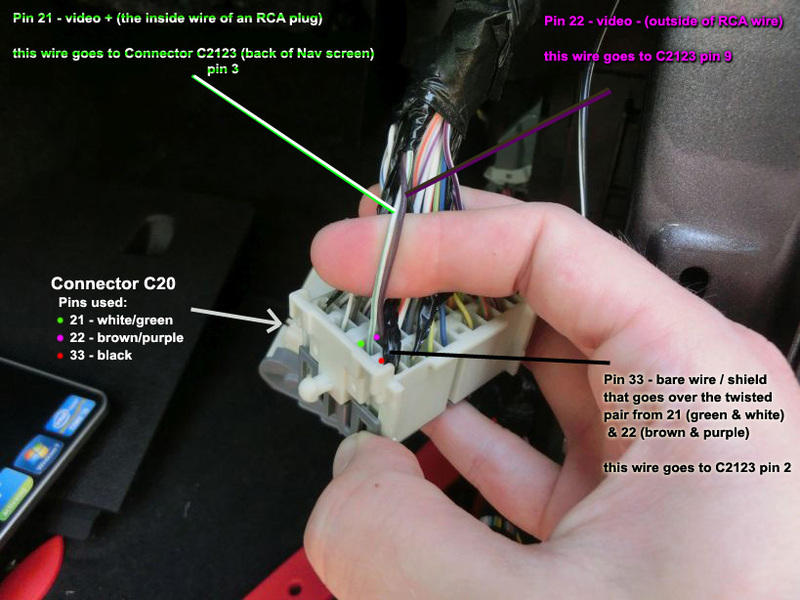 I just thought I'd add some details about my installation because I found a few things confusing so hopefully this will help anyone else trying to install a backup camera.. The first mistake I made was immediately after watching a youtube video of a couple guys installing a backup camera on a 2013 Mustang. It looked so easy but to my surprise, after I pulled the dash apart, I didn't find a video port on the back of the FDIM nor the ACM. I realize now that they were installing a camera for a RAXIOM aftermarket system. Doh! 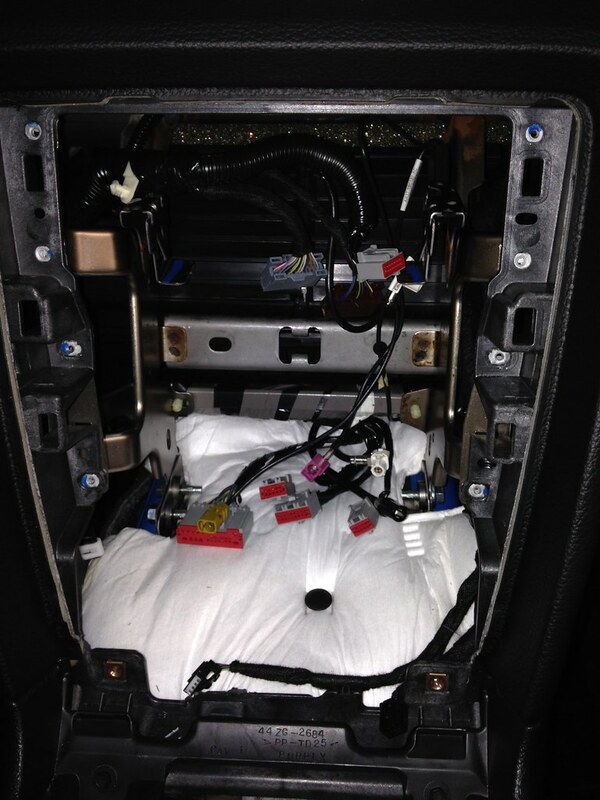 The next mistake would have been to order a Sync 1 camera interface like the one sold by 4dtech or this one: https://www.infotainment.com/product...mera-interface If you look at the photo in the link, you can see the cable is plugged into the back of the ACM. When I tested for continuity using a multi-meter between the video related pins on connector C210 and the ACM connector shown in the photo, I didn't find anything. The video related pins on C210 are wired to the FDIM connector! Changed 80 to 90. When saved, FORScan changes the 07 to 17. This is a checksum update and is done automatically by FORScan. I changed this back and forth several times - got the same result. This appears to work. 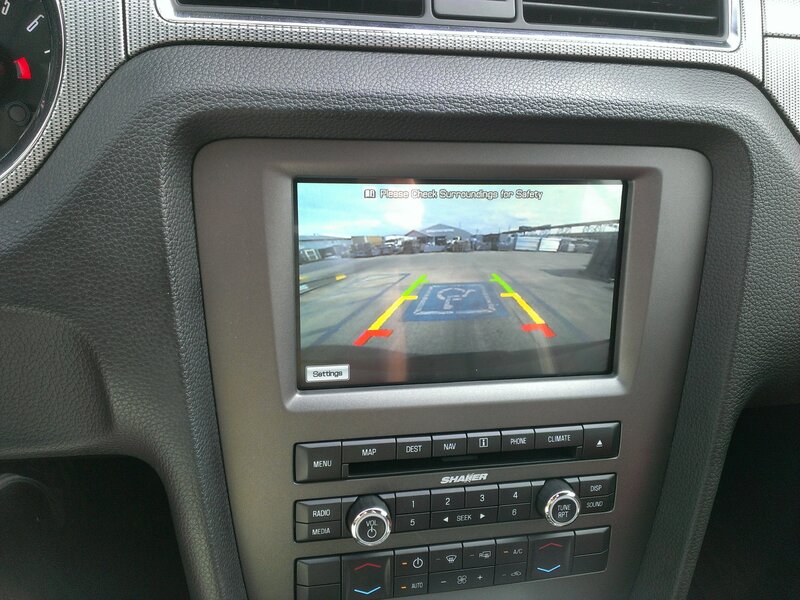 When the car is put into reverse, the camera page opens on the display. On the display, using Settings, I turned on the camera. When the transmission is taken out of reverse and the car moves forward, the display switches to normal displays (e.g. map, home, media, etc.) as described in the owner's manual. Display and Camera Wiring - I've seen some questions on whether you can tell if camera wiring is present or not. There have been several nice pictures of connector C210. The top half of the connector contains the wiring that goes forward to the Display. The bottom half of the connector contains wiring that goes to the rear of the car where the camera should be. In my car (no camera installed), camera wiring was present on the top half of connector C210. On the bottom half of the connector, there was no wiring or even pins present in the connector for the camera function (Pins 20, 21, 22 and 33 for Power, Video+, Video-, and Shield, respectively)). So all my wiring for the camera dealt with the top half of the connector. Ground - Installed a ground wire for the camera on an exposed nut in the spare tire well. •	Used wire splice for 12 v on pin 20, which goes to Fuse 29 (camera fuse). This reads ~11 volts with the key on. Ran a power line to the camera mounted by the license plate. •	I originally tried to tap pins 21 and 22 for Video+ and Video- using small, plastic wire splices. I had a problem getting a good connection with them, so I tried an alternate approach that worked out much better. I ground down blade connectors so that they would fit into the back side of Connector C210. Once installed, they were zip tied into place. Good solid connection, not going anywhere. Each of the splices and taps were verified to ensure that I had good connection. Camera - bought a small, inexpensive camera (~1" cube) and mounted it on the panel above the license plate as was shown on several other blogs. Pulled the cable through the hole leading to the right tail light. Before installing the camera, I tried to bench test the camera by plugging into my TV. Unfortunately, my TV's are newer and don't have a Composite Video input (Yellow Plug); they only have Component Video (Green, Blue, Red Plugs). The camera only provided video signal in the Green port, nothing in the other 2 ports. Video was very poor and black and white only. Couldn't tell from this test whether I had a defective camera or a bad test. Turns out it was a bad test - camera worked fine once installed. Wish I had kept some of my old TV's for such an occasion. But that got me to thinking about how to interface Composite video to Differential Video. Video Interface - As noted above, most of the aftermarket cameras that I've seen use Composite Video (Yellow coax). The OEM Ford Cameras through C210 and the Display appear to use Differential Video (Video+ and Video-). What I found on my research is to use a balun to properly convert from a Balanced (Composite Video) line to an Unbalanced (Differential Video) line. I found a Composite Video Balun (Video Balun 50-7710) at MCM (Newark Electronics) that works. Fairly inexpensive, less than $11. Input is Composite, Output is V+ and V-. This worked out well. While I didn't test splicing a Composite Cable directly into V+, V-, I believe this will actually work. However, due to the nature of how the signals get combined, I believe that the balun approach will result in a video signal at the display that is twice the strength of just using the Composite signal spliced into the V+, V- ports. So I went with the balun approach. Operational Test - So far, so good. With the Software updated and working, with the +12 v and Ground patched into the camera and verified, and the video cable properly wired through the balun, I'm ready to try it out. Turned on the car, put it in reverse, Voila!! We got Video! Once again, thanks again to all the previous bloggers who contributed the collective knowledge base. Hope this write-up helps out the next installer.